If you are an expectant parent, you want to create a unique but adorable nursery for your baby. One idea is to invest in items that are personalized with their first name or initial. You can find a variety of personalized nursery decor, from blankets to furniture. 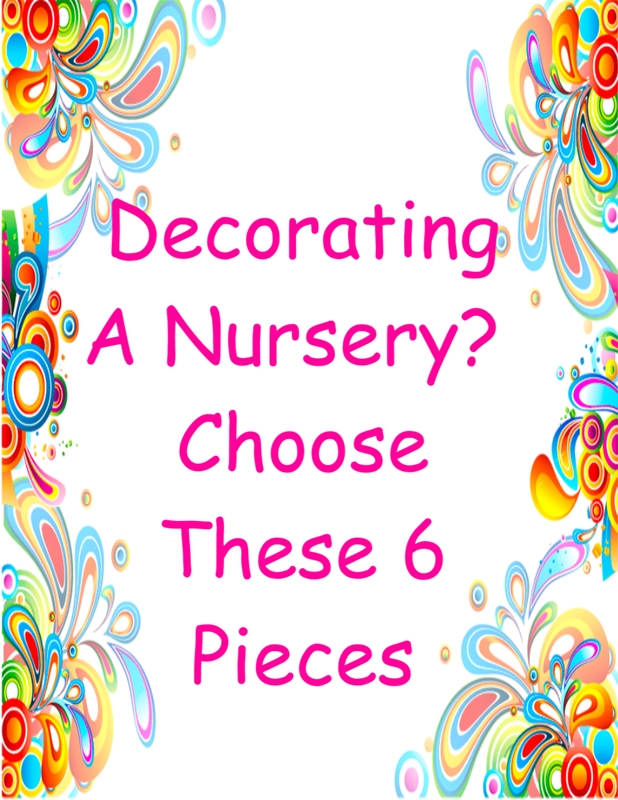 Add a fun vibe to your nursery by decorating with these six personalized pieces. 1. The Heavy Load Baby Blanket is sure to keep your baby warm on those cold nights. It comes in blue, pink and yellow, and it features an adorable elephant flying on a star. You can have the bottom corner personalized with their name in large letters. 2. The Cream Caddy with Gold and Crystals is perfect for storing your baby powder, lotions and other accessories. The handle makes it easy to carry your accessories to another room. You can have the caddy personalized with their name in your desired color. 3. Are you looking for something your baby can use as they grow older? You are sure to love the Farm Animals Rocking Chair. This colorful chair features lovable farm animals, and it can be personalized with their name. 4. Store their toys, games or stuffed animals inside the Sunny Safari Toy Chest. This painted toy chest features precious animals, yellow stripes and palm tree legs. The flat surface of the lid is perfect for playtime. You can have this colorful toy chest customized with their name to add a personal touch. 5. It is easy to add a personal touch to their nursery with the Bold Initial Layered Name sign. The sign features a bold initial layered with their connected name, and you can choose the colors of their initial and name. The nursery is sure to feel special once you hang their sign on the door or wall. 6. Start saving money for your baby with a Personalized Piggy Bank. The piggy bank comes in a variety of colors and designs, from solid blue to pink with white polka dots. You can even find an airplane, train or lion bank for your child. Your little one is sure to enjoy using a personalized piggy bank as they grow older. Using personalized baby decor is a great way to create a unique vibe in their nursery. Your child is sure to treasure their personalized decor for years to come.